Branching scenarios usually appear on high-end e-learning courses because they are complex to put together. That said, when you work with an experienced e-learning developer in Dubai adding branching scenarios to your e-learning courses becomes realistic. After all, an e-learning developer will have the required skills and knowledge. What are branching scenarios, however, how do they differ to normal scenarios, and why are they important? Let’s explore branching scenarios in more detail. 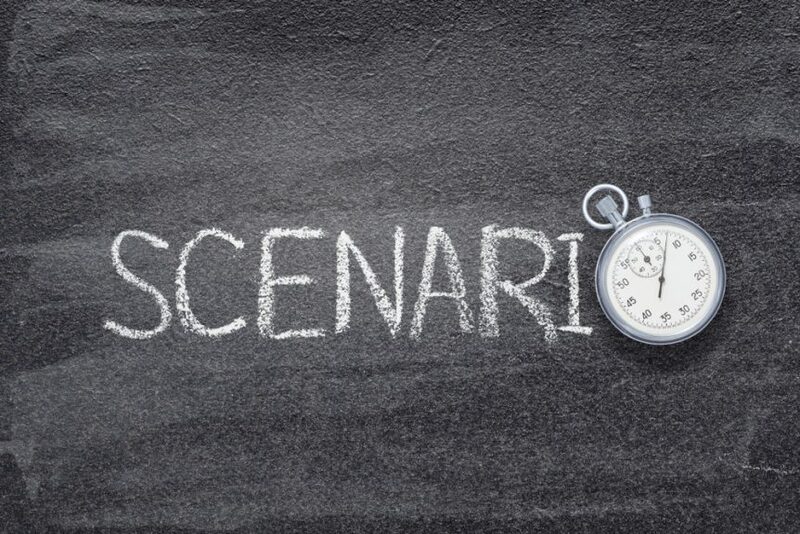 A scenario in e-learning is like a roleplay exercise in a classroom-based training session. In other words, you present the learner with a realistic situation, getting them to use the knowledge they have just acquired to react and/or make a decision. A branching scenario, however, is multi-layered. So, each decision taken by the learner changes the situation and presents them with additional decisions to make. Therefore, a branching scenario is a bit like a choose your own adventure book that you may have read as a child. When Are Branching Scenarios Most Suitable? You should consider including branching scenarios in your e-learning course when the content and topic is complex, particularly when it involves situations where one decision impacts on the next decision. Safety topics are a good example, as are many common (and not-so-common) situations that managers face on a day-to-day basis. In fact, almost any situation that involves people interacting can benefit from branching scenarios, particularly when tensions in the situation are high. One good example is an e-learning course that teaches managers how to handle a tricky HR issue. Before taking the plunge to include branching scenarios in your next e-learning course, it’s important to understand why and how they are used. For a start, branching scenarios are not about testing the learner. You can do this using other methods, including quizzes. There is a good reason that branching scenarios are not ideal for testing: they generally have no right or wrong answer. Just like choose your own adventure books, all the endings are different, but there are none that are “correct” or “wrong”. In e-learning branching scenarios, the route the learner takes, and the decisions they make along the way, are more important than the final outcome or endpoint. This is because branching scenarios help learners understand why they make decisions as well as the consequences that flow from those decisions. This, ultimately, gives them a deeper understanding of the course content. In addition, branching scenarios let learners put new knowledge on complex topics into practice in the safe environment of an e-learning course. This is particularly important for topics relating to safety, for example, as it is good to see how a learner responds in a simulated environment before they must deal with the situation in the real world. Enhances engagement levels – branching scenarios maximise interactivity, particularly when you structure the scenario in a way that draws the learner in. Improves learning outcomes – branching scenarios help put the content of the course into perspective for the learner, i.e. the content becomes more than simple theory. This makes the learning process faster and, as mentioned above, creates a deeper understanding. The result of this is increased knowledge retention. Improves return on investment – you will get a better return on investment from e-learning if learners engage with your course. You will also get a better return if learners get the deepest possible understanding of the course content, and if they go on to retain that knowledge. You get all this when you include branching scenarios in your e-learning courses. There’s a reason why branching scenarios are not used extensively in e-learning courses: they are complex to build. This can, in some situations, increase the cost and time it takes to complete and deploy the course. This is why you should always use a professional e-learning developer for courses that include branching scenarios. An e-learning developer will have the technical skills to create the scenario, and they’ll probably be able to add visual elements to it too. Crucially, they will also know how to structure the branching scenario to maximise results for your business. So, branching scenarios are not something you can decide on a whim, adding them to your e-learning course at the last moment. Instead, they require careful planning and a clear reason for their inclusion. You then need to outsource the development to a professional. When you do this, branching scenarios will significantly improve your e-learning courses.